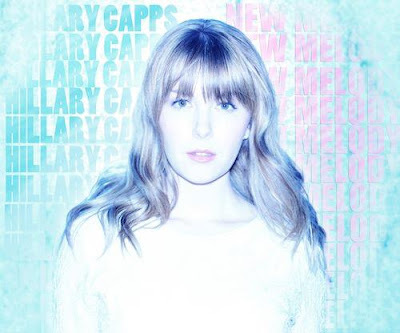 New York City - based singer-songwriter Hillary Capps releases her catchy new single "New Melody" off her upcoming CD The Wishing Forest, which is expected to release in early 2014. With strong female influences such as Sara Bareillies and Adele, Hillary's pop-oritented music encompasses subtle jazz phrasings and catchy melodies that display a mature song writing and light musicianship in this promising young artist. Music has been central in Hillary's life from a very young age. She started singing at just three years old. performed in middle school groups, and wrote songs throughout high school. Hilary began performing professionally as a jazz vocalist at the age of 16 with her father's jazz group. By the age of 21, Hillary released two full-length jazz albums: A Perfect Dozen (2008) and Playlist (2010) in which she sang jazz and jazz/pop standards. Hillary released her first work of original songs with her most recent EP Maybe in the Morning (released July 2012). Check out "New Melody" the first single off of Hillary's forthcoming album The Wishing Forest - expected to release in 2014.